February in Florida is picnic weather–bright and sunny, no humidity and no mosquitoes. So this weekend, I am packing up some delicious fare and taking my family on a picnic. This quilt replaces a woolen picnic blanket that is far too hot and itchy for picnicking anywhere but the Scottish highlands. 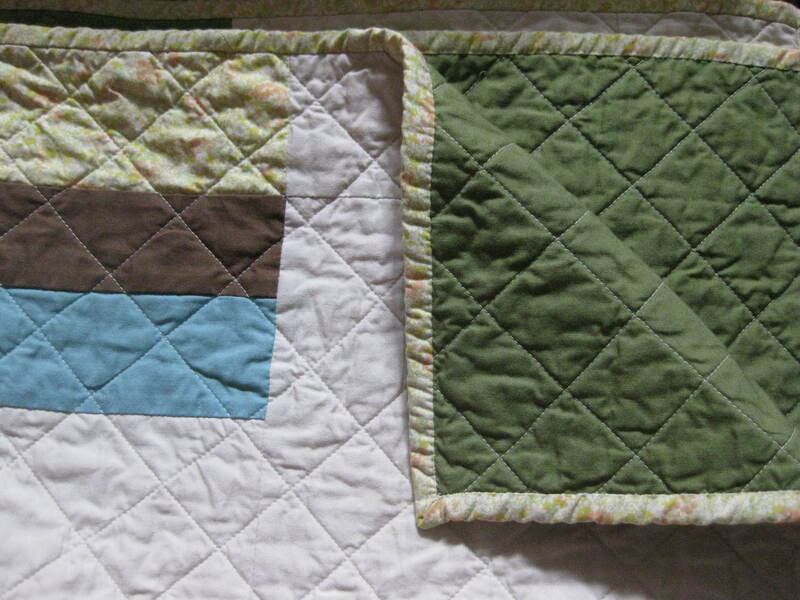 The backing is olive green, and I used a delicate floral for the binding–perfect for the great outdoors. Gorgeous! 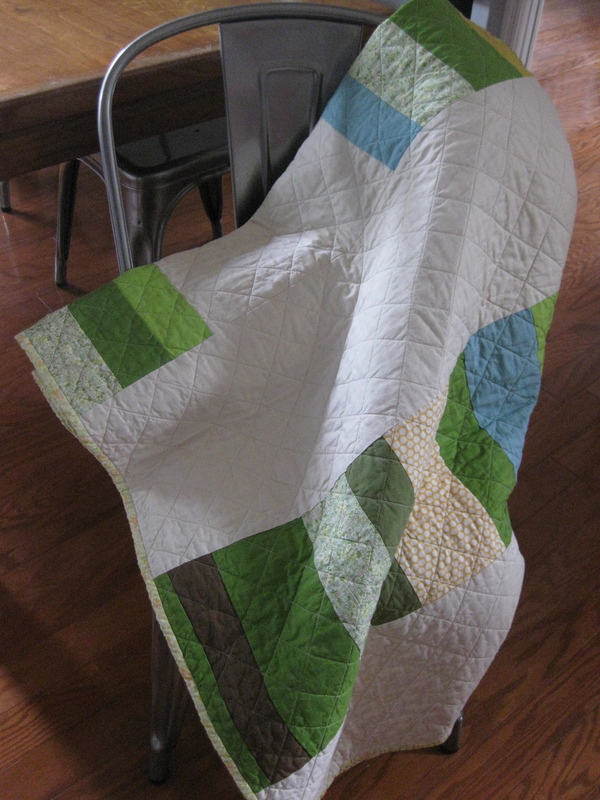 But I don’t know whether to admire your beautiful quilting or resent the pleasant weather you describe! Picnic? We just had a blizzard of historic proportions–27 inches of white stuff! I guess I will live vicariously through you & imagine gentler climes. . . Thanks and sorry for the weather bragging–it is a brief window before the hideous summer, so we must gloat while we can.